ODD (Out Doors & Dirty) is one of Ireland’s top adventure venues, convenient for Carrick on Shannon or Cavan town stag and hen weekends. The mix of motorsports run here together with paintball, clay shooting and more all in one dedicated extreme experience park is unique. All our activity packages are designed to suit groups of 8 or more, and make for the ideal kick-start to a great stag or hen weekend. 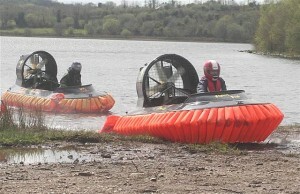 We’re the only venue running racing hovercraft out on wild, open water for a drifting experience like no other. We introduced Rage Motorsport 620cc buggies to Ireland, so with years of experience and an all-weather purpose-built rally track you are guaranteed an exhilarating ride. 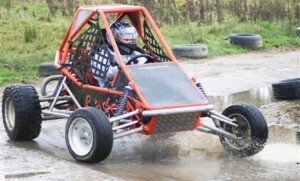 ODD is the place to go for off-road racing! Hen parties can opt for Splatball – a pain free version of paintball, along with crazy team building activities such as Spacehopper Racing, along with our motorsports, or instead of them! We’re located at Brackley Lake on the Leitrim/Cavan/ border near Ballyconnell and open year round. We have great deals for groups, some including Free Stag or Hen, and a choice of activity-only or all-inclusive packages with accommodation, meals, transfers and nightlife. added. Plus, Last Minute offers for those who didn’t get round to booking yet! So get Out-Doors and Dirty at our place soon!